Around two in three businesses fail to grasp the importance of blogging according to new research revealed alongside the ‘seven deadly sins of blogger outreach’ at today’s World PR Forum. A study from IMPACT Communications found that 69% of businesses are failing to grasp the importance of new media and blogging despite the fact that 95% of bloggers want to work with brands. Bloggers have become absolutely essential to those marketing their businesses says author of ‘The Truth about Brands and Blogging’, IMPACT director, Allison Lee. 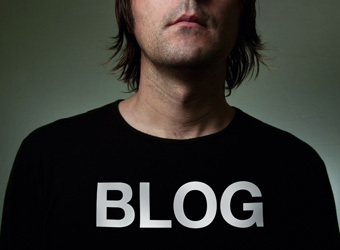 Lee calls blogging “new-fashioned word of mouth,” a moniker bloggers appear to agree with. According to IMPACT’s study, 51% of bloggers believe they are an important influence on niche markets, and 25% believe they are as influential as the mainstream media. Many of them feel misunderstood by the marketing and PR community, with 56% of the opinion that the industry simply doesn’t get them. Businesses support this assertion; 43% of the study’s business sample “fear that bloggers are risky and simply don’t know how to work with them”, according to a statement from IMPACT. The study found 43% of bloggers believe creating a unique and personal voice in their writing was the most important element of blogging, while 93% of bloggers won’t write about products they have not experienced personally. In her presentation at today’s World PR Forum in Melbourne, Lee named seven deadly sins of blogger outreach. Ignorance of the blog and its community of readers. Failure to build relationships or contribute to community. Impersonal or mass email approaches. Lack of respect for bloggers’ editorial integrity. Ignorance regarding bloggers’ juggling day jobs with blogging. Sycophantic behaviour or fawning over bloggers. IMPACT’s report draws on quantitative surveys and in-depth interviews with Australian bloggers and survey data from 17 PR firms across 14 countries.